People often wonder what sport has the most participants in the UK. It comes as a shock when they find out fishing takes the top prize with over 3,000,000 fishermen and Women taking part in all different types of angling. Solitude, peace and quiet with a touch of patience thrown in and your half way to being a decent angler. Kent not only has a most beautiful and varied coastline showing off its chalk white cliffs and its wonderful sandy beaches, it can also boast some of the best fishing in Britain. The nutrient rich waters are home to many species of fish most of which are edible. Autumn is sometimes thought of as the best time to fish, as anglers can often be lucky enough to get the best of both worlds. This is where the summer and winter species tend to overlap and so it has been known for an angler spinning on a light rod for Mackerel to hook into a large winter Cod using lures. So, it is true that this time of year when fishing, you never really know what you are going to catch. It is however, the time for the bigger fish of all species to start moving in. There will be larger Conger eels, Smooth hound and Thornback rays. The time to target these is on a fine early Autumn evening where the same rule can be applied to the larger Bass, Pollock and Wrasse. As autumn moves towards Winter these species will become less as the large Cod move in from the colder Scandinavian waters to join the smaller Cod who have remained around our shores all year round. The Plaice will start to migrate to be replaced with cold water flat fish such as Dabs and Flounder these can be great sport to fish, then as Autumn gets closer to Winter the Whiting will arrive to give you some good sport as well. Ramsgate Pier and Pegwell Bay are excellent this time of year, as is the reliable Mennis Bay and its neighbour Margate with its pier. Wherever you choose to fish on the Isle of Thanet you are sure to enjoy the experience whatever your ability is. There are only two things more important than the catch itself. They are conservation where you should adhere to the catch and release policy, returning any undersized fish safely to the water and take all your plastic bags and rubbish home with you. The most important of all is your safety. Check tides and weather conditions before you go fishing and let someone know where you intend to fish. Kent for many years has been known as one of the best sea fishing areas in the UK. The coastline is perfect for fishing all year round. Different areas offer different species and this is the same all year. 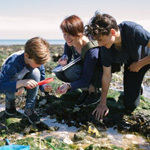 The beaches at Viking Bay Main Beach, Pegwell Bay Ramsgate, Ramsgate Main Sands, Reculver and Minnis Bay all offer great shoreline winter fishing. Minnis Bay in winter offers species such as Whiting which can be caught on Mackerel strips while you may also come across some codling. 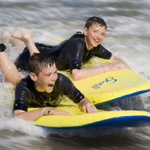 Wander between Ramsgate and Margate and you will find Kingsgate Bay, Botany Bay and Joss Bay. All these sandy bays have rocks just a little out to sea, which give you the chance of bagging a nice Sea Bass using peeler crab or ragworm as bait. There are other species of fish you can catch such as Dogfish and Flatfish so be ready and aware for a bit of a fight with the best time to fish being low tide. It is also possible to catch Smooth-Hound and Rays at these bays. A little further along the coast is Deal, which has a superb reputation for big fish and many species. In winter from this venue stick with your beachcaster and target the large Cod that frequent the area. A large bait is used for a large fish so you can either use a large squid or make up a cocktail using a combination of frozen peeler crab, squid, lugworm and muscles. If there are Cod about they won’t be able to resist. All you need to have for a great days fishing is a Beachcaster rod, a reel – either a spinner or a multiplier the preference is your decision with 18-20 pound breaking strain line and your rigs with your bait. Make sure you have the correct clothing and safety gear – remembering that good fishermen always adhere to the conservation code which states a catch and release policy for undersize fish. If you choose to stay with us and fancy a spot of Sea Fishing and don’t have your equipment don’t panic! There is an angling shop known as “Pleasure Angling” in Deal (Tel. 01304 239191) who hire out the equipment and bait you need for a good fishing session. Early spring is probably the quietest time of year in which to fish. The reason why it is quieter is that in early spring the Winter species will have left for colder waters whilst the summer species have yet to arrive in any numbers, however, that does not make it a bad time fish! In later spring the transitional period begins where the species who migrated to warmer waters in the winter start to return as our water temperatures increase. In Later spring, you will see Plaice and Mackerel arriving along with Sprats and Sand-Eel with the odd Garfish making an appearance. The ever-present Pollock and Wrasse who move out to deeper water in the winter also start to come into shallow water again where they will come in close enough so that the shore fishermen will be able to once again target them. There are always the usual Conger Eels, Rays and Smooth-Hounds to keep you amused or try a light spinner rod and fish for summer flatfish, Bass and Pollock. This can be great fun. 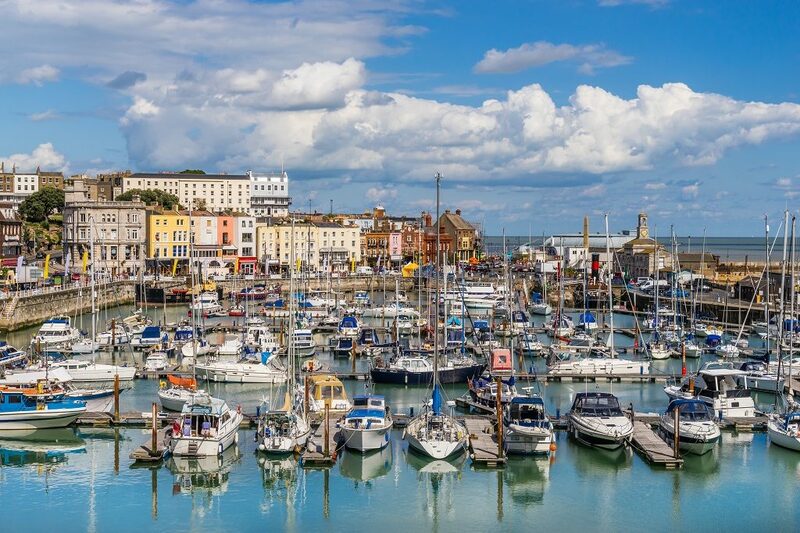 Ramsgate offers two miles of good sporting shoreline with the harbour piers giving the person fishing plenty of options including what fish to target and from where they think they will catch. 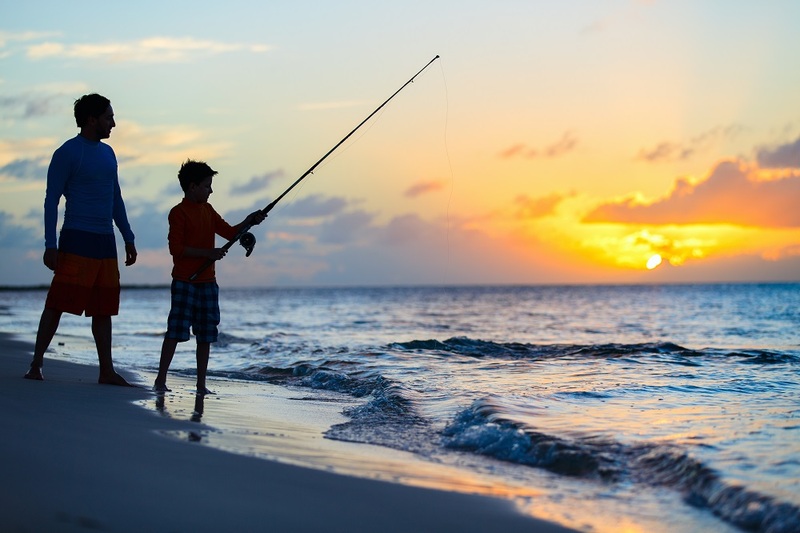 For keen anglers, night fishing is probably the most productive as the beaches tend to get very busy in the daytime with holiday makers. 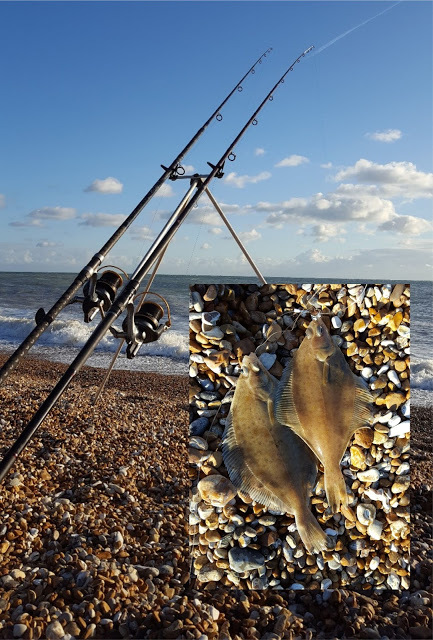 From Ramsgate shore in Spring you can expect to catch bass, soles, flounders, dabs and the odd thornback ray. Broadstairs can be a fun place to fish in later spring. With the Mackerel coming in to join the Bass and Dogfish. Fishing off the jetty can make life a little easier in later spring when tourist numbers increase. Night fishing can also produce good bass and flounder when there are less visitors around. Do not forget to try Joss Bay and Botany Bay, which also produce specimen fish. If you’re having no luck take a short walk and try either bay. Margate and Minnis Bay can be a productive mark if conditions are right where you can catch Bass, Thornback Rays, Smooth-hound, Flounders and Eels. Mennis Bay is a fantastic shore fishing venue and is a must if fishing in the area. Summer is a great time to fish. A different target species and better weather make it a lot more enjoyable and a lot more comfortable. The Kent coastline remains a fantastic area to fish with record results repeatedly. There are productive marks around Whitstable Harbour where there are Dabs, Flounders, Silver Eels, Lesser Spotted-Dogfish and School Bass. If you are a decent caster, the same species can be caught from the pebbled beach. 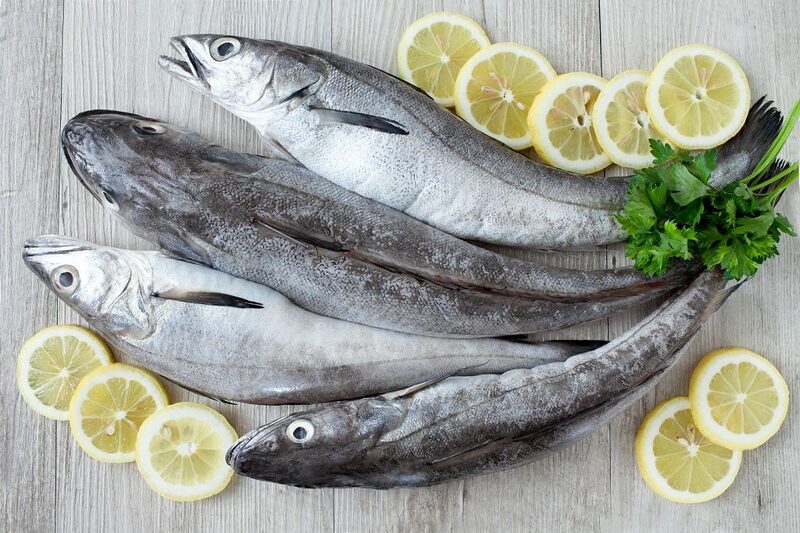 Herne Bay is worth a go as on a good day you can catch Flounder and Silver Eels while the estuary can give you the opportunity to spin (spinning requires a light rod, reel and a lure) for Bass for a bit of fun. Dogfish can also be caught from the beach along with Rays and Smooth hounds. 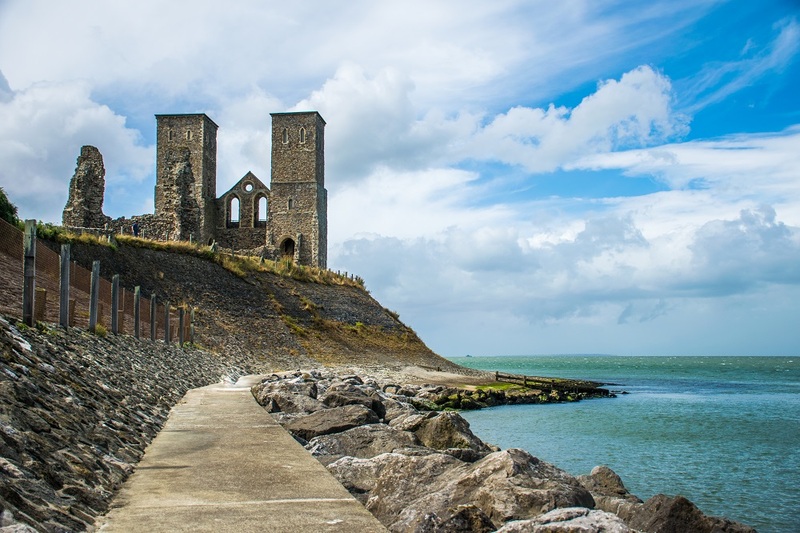 Three miles to the East, you will come across Reculver, which is a very productive area with several good marks. Fish around the towers of St Mary’s Church and the sea walls which offer good Flounders and dabs with Dover Sole being caught on worm and crab baits. In the summer Ramsgate pier and harbour offer lots of variety of fish such as Dover Sole, Pouting, Flatfish, School Bass and Dogfish. Remember also in the warm summer months the Mackerel come into the harbour so there is plenty of action to be had there. There is good fishing to be had in Sandwich Bay, Deal, Dover and Folkstone. However, in the Summer months there are holidaymakers to consider while contemplating which venue to fish at. Many of the beaches and bays will be difficult to fish from in the summer months – not impossible but restricted. Boat fishing is a great way to get away from it all and fish. You are almost guaranteed to catch something from a boat plus you get to see the fantastic chalk cliffs along the coastline. The skippers look after you and assist you when you are fortunate to catch something. The price of the fishing trip normally includes the hire of a boat rod and all the fishing gear plus some frozen bait. It is advisable if possible to get your own fresh bait for the trip. The chances of catching something big are increased as you will be fishing over wrecks and other such marks like the Goodwin Sands . It really is a fantastic days fishing. Tuition is provided on board if required.